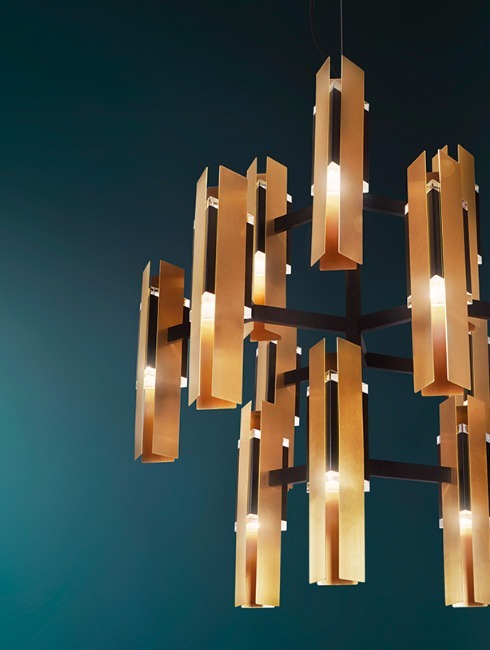 Inspired by the idea of creating highly propositive products in the decorative lighting panorama – either style- and concept-wise – TOOY offers a variety of lighting types, combining materials and finishes chosen with a keen eye to current trends, which make its products suitable to both the private and the contract sectors. Balancing traditional art forms to continuous research and experimentation, TOOY creates unique and recognizable products, able to meet the needs of a market segment particularly attentive to taste and originality. TOOY lamps are decorative elements with a strong aesthetic sense - simple in apparence, though highly sophisticated - which give an added value to any ambience in which they are used. Its collections offer a complete range of fittings, unique and with a strong identity, to fully satisfy the different markets’ needs. In addition to the strong decorative character of its products and to the particular and elegant image of the brand, an important added value is given by the typically Italian craftsmanship of the manufacturer and the precious raw material used for the production. A blend of winning elements that have historically distinguished the tradition of “Made in Italy” throughout the world. Products made to perfection, preserving the culture of “well done” and the passion for light. Innovative apparels that “tell a story” of light; product of a strong workmanship which permeates each and every one of TOOY items, transferring their essentiality to the ambience surrounding them. TOOY keeps working to combine light to useful and functional design, immersing itself in its environment, taking advantage of a long family history and exploring the never-ending possibilities of our everyday spaces. TOOY is a brand established by Valeria Giacomozzi & Valerio Tidei.